SPRING REMOVAL AND REFITTING - An easy, inexpensive and safe way to remove springs from shock absorbers is shown in Figures 1 and 2. Tightening up on the three nuts marked "A" (only one of which is shown in the diagram) compresses the spring, allowing the spring retaining collar to be removed. The "A" nuts are then loosened until the spring is fully extended, and, finally, removed to allow the spring (with the three rods still attached) to be removed from the shock. Position the new shock in the hole and reverse the foregoing procedure. 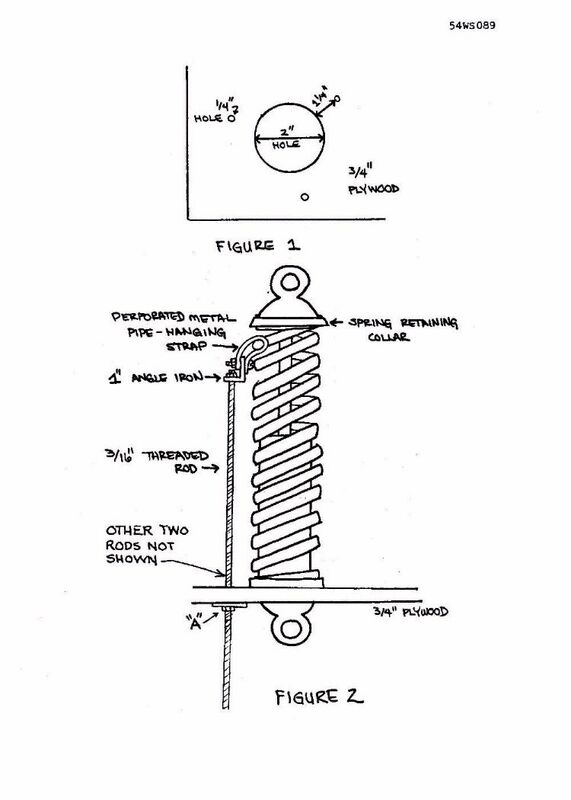 One hint: When installing the springs on the new shock, be sure the upper and lower shock mounting 'eyelets' are parallel before releasing spring tension onto the re-positioned spring-retaining collar. If you chose the loose fitting connector mentioned above, it should be glued to the body of the shock or it will tend to ride up. Silicone glue works well. If you chose the tight fitting connector, put a film of oil on the body of the shock. Heat up the connector over the kitchen range until it is just too hot to handle comfortably (careful! It has a relatively low melting point.) Then quickly push it onto the shock while it is still hot and soft. 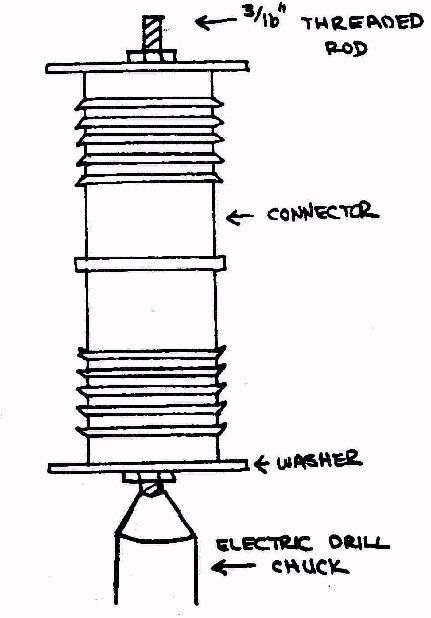 Approximately one and a third connectors are needed to completely cover the body of each shock, although one connector alone will prevent bowing. If you put on one and a third connectors, put the one-third piece on first. Coat the connector with grease before installing the spring.